Madrid is a sophisticated city that represents a perfect blend of the traditional and contemporary Spain. 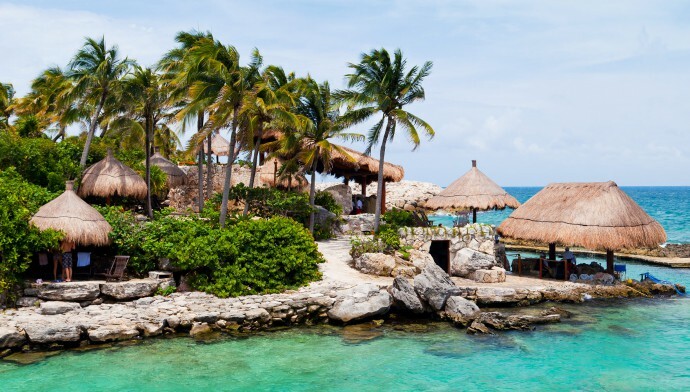 The city loves to indulge in fun and partying and has some of the greatest sightseeing options available for tourists. 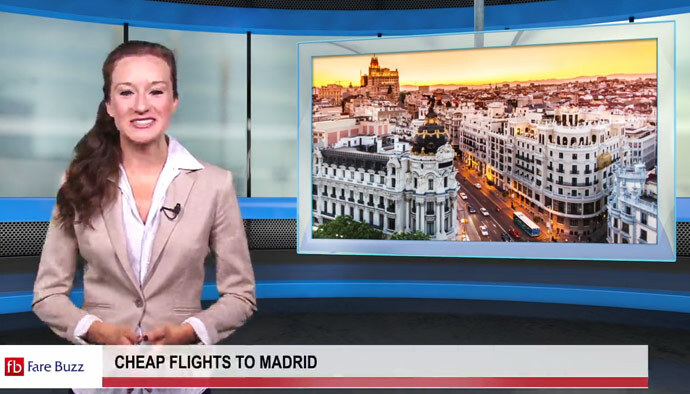 Many airlines offer Cheap Airfares to Madrid. However, let us run through the following list to catch most excellent alternatives in Madrid. One can find an interesting list of popular tourist attractions on Madrid City Guide. 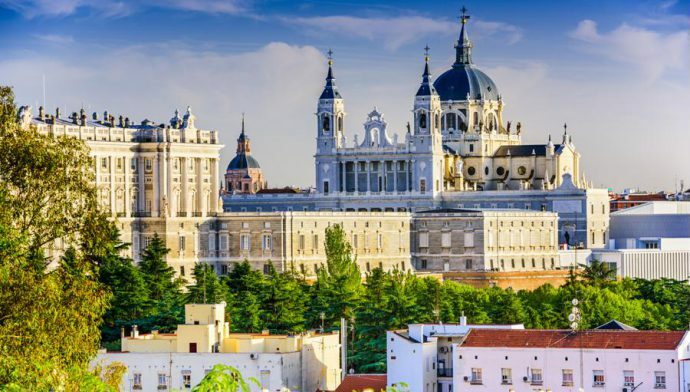 Some of the popular names in the city include The Prado, Thyssen-Bornemisza, Reina Sofia National Art Centre Museum, Parque del Buen Retiro, Royal Palace, Puerta del Sol, and Royal Botanic Garden. Reina Sofia National Art Centre Museum is the national museum of Spain. It houses some of the most intriguing artistic collections from the 20th century. Inaugurated on September 10, 1992 and named after Queen Sofia, this museum continues to enthrall and amaze all its visitors. It displays collections from legends like Salvador Dalí and Pablo Picasso and offers a treat to the art lovers. It also comprises a library that boasts of a vast collection of over 3,500 sound recording, 100,000 books, and 1,000 videos. On the other hand, Royal Palace is the palace that the Spanish Royal Family calls home in the city. The Royals however, do not use this palace as their official residence but use its premises to host state ceremonies. It continues to capture the attention and the fascination of the travelers making its one of the most frequented places in the city. The city experiences extreme temperatures in both summers and winters. The best time to visit here therefore is spring. One can enjoy the trip to this Spanish city around this time when the temperatures range between 63 F and 70F or 17C and 21C. However, travelers who wish to experience the adventure and the beauty of the city can plan a trip as per their own convenience. For them, time constrains mean nothing, as the intention is to explore the best of the city. The city is proud to host some of the award-winning eating joints that offer delectable cuisines to the visitors. Some of the best places to relish mouthwatering food include Zerain (Basque), La Terraza del Casino (Experimental Spanish), Biblioteca (Modern Spanish fare), Indice Restaurant (Mediterranean), Sergi Arola Gastro (Catalonian), Europa Deco (International), Prada a Tope (Tapas), Estado Puro (Traditional) and La Terraza (Classic Spanish). The city is well connected to other parts of the world. Many airlines fly to the city offering affordable connections from other important world cities. Airlines like Korean Air, Aeroflot, Turkish Airlines, and Emirates offer business class flights to Madrid from Seoul. TAP Portugal, Lufthansa, Swiss, and Alitalia fly from the city to Paris. Aer Lingus, US Airways, SAS, and Delta Airlines fly between the city and Washington. One can comfortably navigate their way through cheap hotels in Madrid. Budget accommodations are available in most parts of the city. Calle de las Infantas, Avenida de Logroño, Calle de la Montera, Calle Barbieri, Calle Gran Vía, Calle Gravina, Calle de Esparteros, and Plaza Puerta del Sol are some of the neighborhoods that offer discounted stay options.